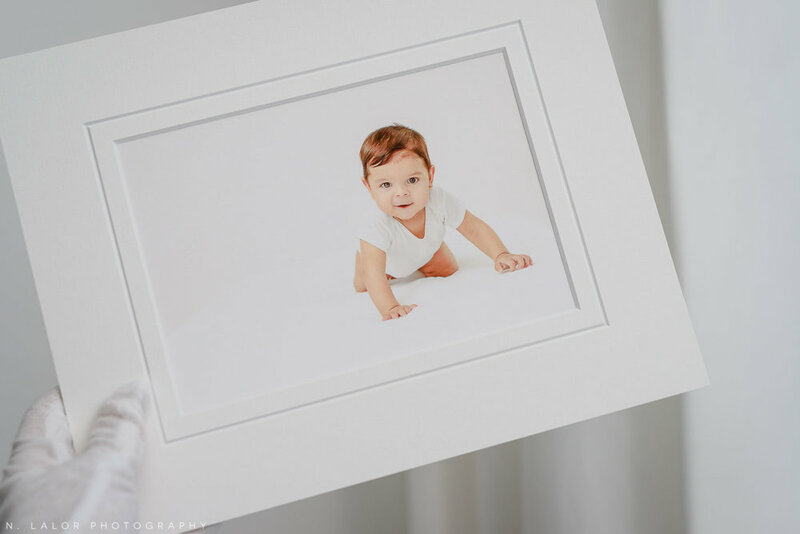 Ilex, who is just around 8 months old, came into the Studio with his Grandma and Aunt to do a photoshoot as a gift for his parents. This was the first time Ilex was photographed professionally. 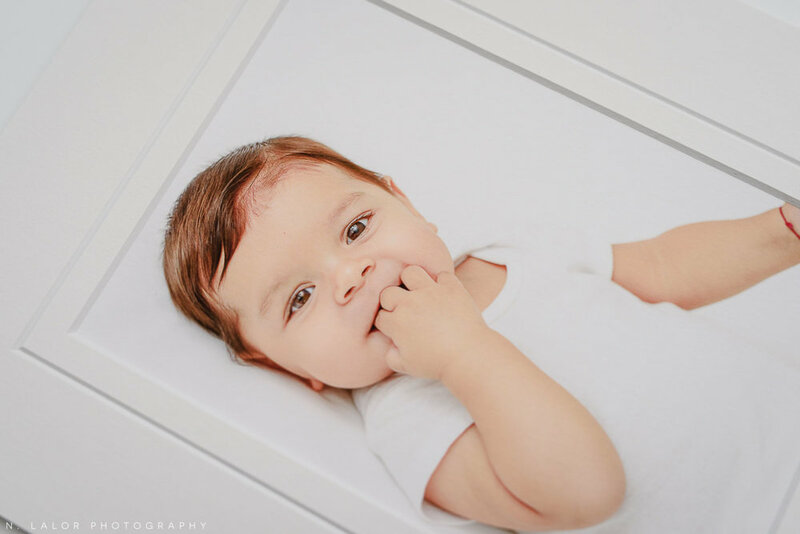 And listen, there are many reasons why parents don't get professional baby photos. Sometimes they don't really feel it's important. They could too busy simply surviving day to day to even give the idea some thought (I certainly know how that feels!). And other times they feel that iPhone photos are good enough, so why bother? There is a very good reason why Ilex's Grandma felt this was important and worth doing. She raised her children. She knew how precious the photographs she had of them are, so many years later. She cherished them and she realized that good-quality beautiful images are not only worth having, but are important to have.. right NOW. As her grandchild grew so quickly right in front of her eyes, she realized the urgency. You can't go back and decide a year later to do baby photos, unfortunately that's when it's really just too late. And one of the things I love about this whole thing is how thoughtful this gift is. Ilex's parents didn't know about it, it was a total surprise. Grandma and Aunt took care of everything and walked out of the Studio with a fully finished gift - a gorgeous heirloom box containing matted fine art prints that are ready to display or frame as they like. They didn't give Ilex's parents extra work to do. They didn't have to try to figure out how to get digital files printed. It was DONE and could be enjoyed right NOW. A gift like that is absolutely incredible. The truth is, most children nowadays are growing up without a lasting photographic record of their childhood. We all have iPhones. We all take tons of photos. But those photos don't last. Not really. They're enjoyed in the moment and then get lost in our camera roll feed (I know because I'm constantly trying to find that picture I'm thinking of.. and endless scrolling later, give up because they're just too much stuff to wade through!). I know how important childhood photographs are, and how hard it is when you're a busy parent. It doesn't have to be super complicated or hard, I promise. I love all of Ilex's adorable baby photos. 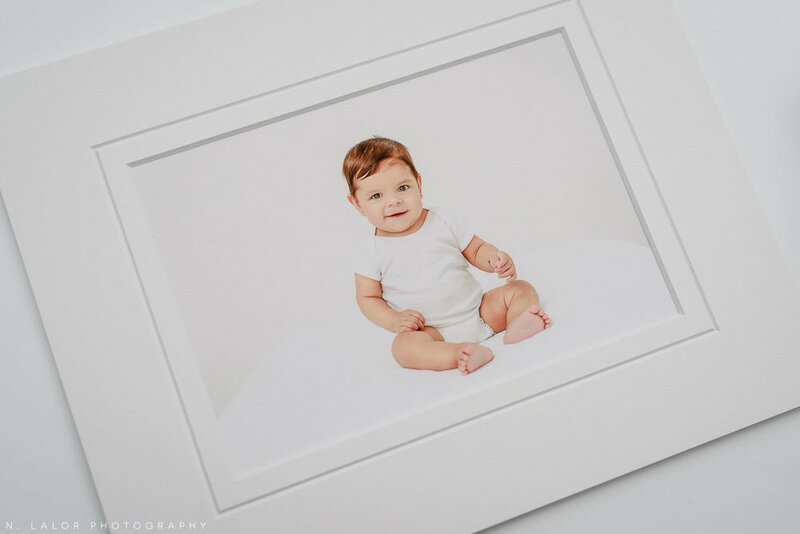 And because no photograph is truly done until it's printed, below are some of my favorites, printed on fine art photo paper and presented in a museum-quality white mat.. which is exactly how Ilex's parents will be enjoying these images for many years to come.